Designed as a media mirror and rectangular plasma TV, the Kenya TV Media Unit presents a stylish solution for when you do not want the TV to become the focal point of your living room. 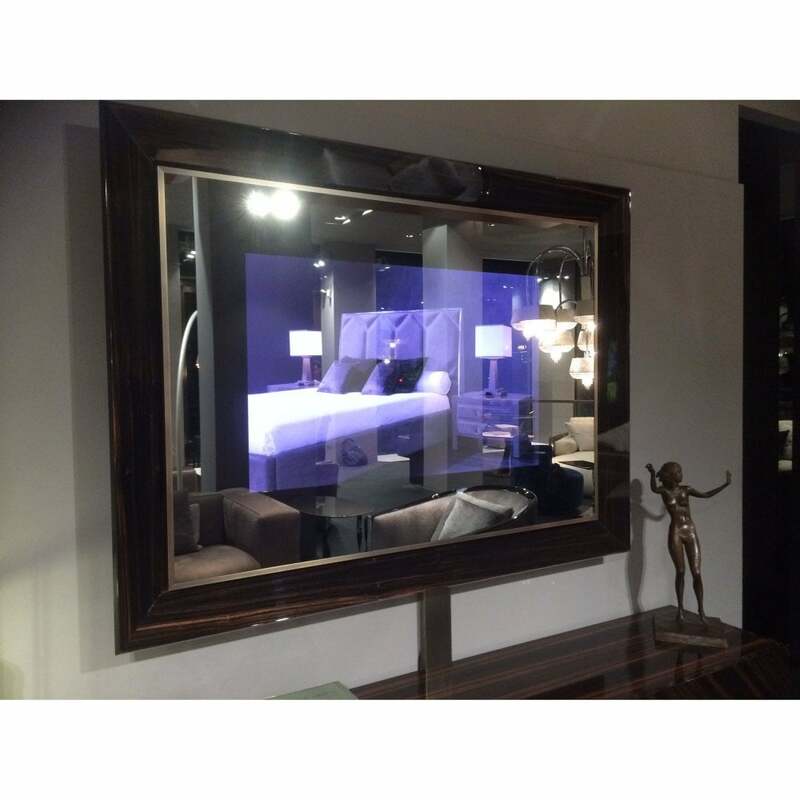 The Kenya TV creates a feature yet blends seamlessly into a luxury interior. The exquisite frame can be upholstered in the finest Pelle leather or crafted from precious ebony wood. Finished with steel or bronze edging, this TV Unit works beautifully with the Blade TV Cabinet from the Rugiano Collection. The leather upholstery creates a chic and modern look whereas the intricate grains of the wood paired with the metallic detailing brings an art deco glamour to the unit. Make an enquiry for more information.